Glossa Language Consulting & Translation is a boutique firm dedicated to serving the language needs of clients in the life sciences, healthcare, legal, and marketing areas. Our team is an eclectic group of experts in their areas of specialization who share a common ground: A passion for languages and the written word. We are linguists, editors, marketing gurus, scientists, doctors, and engineers driven by a desire to design and create content that is equally accurate, functional, and linguistically aesthetic. At Glossa, we believe there is beauty and method in everything we craft: A technical copy can be syntactically harmonious, while a marketing piece can be both catchy and meaningful. Our clients have an active role in our projects and this is what sets us apart from our competitors, allowing us to deliver a true-to-brand copy. We invite you to experience the difference of a service rendered by true experts. As a boutique firm, we are highly specialized in our areas of expertise, as well as in the language combinations we offer. We work exclusively on projects in the three languages we master: Spanish, English, and Portuguese. Our unique approach to language services is a fusion of creativity and methodology. We analyze each project individually and assemble a team based on your specific needs. Our key team member? You —because nobody knows your product better than you do! This approach also conforms to the principles outlined in ASTM F2575-14, Standard Guide for Quality Assurance in Translation, to which Glossa adheres. We have successfully combined creativity and methodology by outlining a process based on the ASTM F2575-14, Standard Guide for Quality Assurance in Translation. This standard provides a framework for defining specifications for translation projects, “to arrive at a product of desired quality to serve the needs and expectations of the end user” . This approach, combined with ingenuity and translation technology is what allow us to deliver a translation product of the highest quality. Finding the perfect combination of words that can elicit a specific reaction in a few brief seconds is what makes it or breaks it in today’s fast-paced world. Whether it is a slogan, writing content for your website, or creating a style guide for your agency, we can guide you through the complex paths of culture and language, to help you reach your intended market. Entrust your brand to our team of skilled professional who can deliver world-class services and results. We have successfully combined creativity and methodology by outlining a process based on the ASTM F2575-14, Standard Guide for Quality Assurance in Translation. This standard provides a framework for defining specifications for translation projects, “to arrive at a product of desired quality to serve the needs and expectations of the end user.” This approach, combined with ingenuity and translation technology is what allow us to deliver a translation product of the highest quality. At Glossa, our core business is language —a language that translates into emotions, actions, and effective ideas. As language consultants, we act as your “foreign language/culture coach”. From providing a deeper understanding of your brand’s persona in a different language, to creating your image specifically designed for your target language, we help you create a plan and design a course of action to reach your audience. Delivering an error-free copy is an essential trait in the world of written words, and while Glossa integrates proofreading as part of its translation, copywriting, and transcreation services, we also offer proofreading and editing as stand-alone services. Closely related, yet different in scope, proofreading is the art of catching those elusive mistakes that are only evident to the trained eye, and comparing the target text with its source. While editing involves proofreading features, its aim is to make the copy more fluid and stylistically beautiful in the target language. Editing includes a creative component, and can be done with or without a source text as reference. As language consultants, we act as your “foreign language/culture coach.” From providing a deeper understanding of your brand’s persona in a different language, to creating your image specifically designed for your target language, we help you create a plan and design a course of action to reach your audience. The development of biomedical products is a process where every detail matters and mistakes can be extremely costly —even fatal. Glossa’s team of linguists with scientific background delivers peace of mind by providing accurate renditions conforming to industry guidelines and regulations. The modern patient-centered approach to healthcare means that medical providers must speak the language of their patients. As expert language professionals with medical training, Glossa helps healthcare providers and patients navigate complex language and cultural systems to ensure the best outcomes. At Glossa, we understand that in the world of luxury, perfection is the norm. Our creative team includes true maestros who write beautiful masterpieces, each word carefully chosen to create a harmonious melody sure to please your sophisticated audience. According to the American Marketing Association, marketing is defined as “creating, communicating, delivering, and exchanging offerings that have value for customers, clients, partners, and society at large.” Now, what happens when these activities start in language A but are intended for language B? You call Glossa to help you navigate through the complex paths of culture and language! From slogans, to radio spots, to subtitling videos, to websites, our marketing gurus will provide a multidimensional approach to your campaign —no matter how big or small. "Glossa Language Consulting & Translation and Daniela Guanipa help our organization achieve its mission of protecting the rights and welfare of clinical research participants." "As producers of documentary content, we value both accuracy and artistry in translation. It’s crucial to us that all audiences — regardless of language — grasp not only what is being said, but also a sense of the speaker and of the moment. Our partnership with Glossa on Operation Pedro Pan ensured this would be the case. We look forward to many more collaborations." 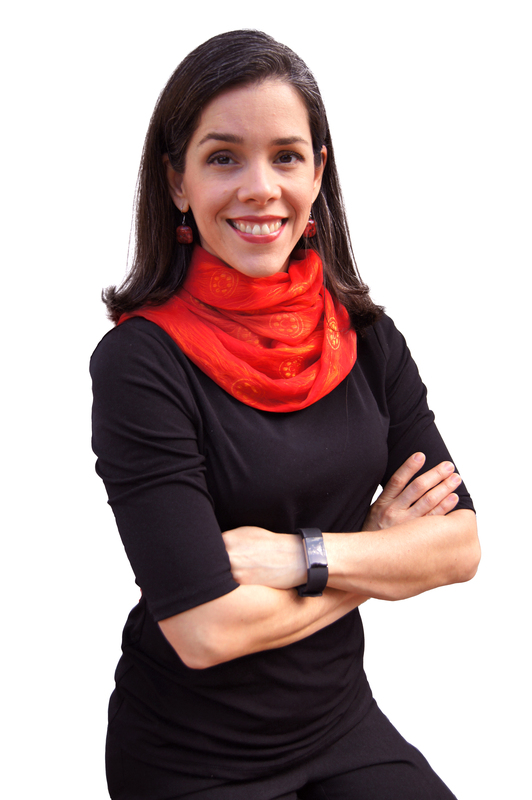 "I would wholeheartedly recommend using Daniela for your translation needs. She is a consummate professional, and you will not be disappointed." Hi! I’m Daniela Guanipa and I am a language architect. I design bridges built with the right words to help you reach your audience in a different language. It is said that meaning turns on a single word, and every day we process an incredible amount of data, a good percentage of which is in written form. Combine this with the short online attention span we inevitably develop to survive our digital age, and we come to the realization that our messages are competing with billions of words out there. That’s why every word counts, now more than ever. As an International Relations graduate, I have always been fascinated by the complex interactions of the world, and the importance of composing messages with carefully chosen words to create the desired effect on its reader —whether it was to forge an alliance with another kingdom or to avoid a war. Nineteen years ago, this fascination became my passion, and I decided to devote my entire professional life to the art of crafting effective and compelling written copy in different languages. After almost two decades of experience as a freelancer, the next natural step was to bring my awesome team of colleague-collaborators under one roof. And that’s how Glossa was born. At Glossa, it is our privilege to serve clients hailing from industries where security and confidentiality are paramount. We understand the sensitive nature of all the information disclosed to us, and such information will be deemed strictly confidential. Further, we are aware of the fact that the protection of privileged documents and proprietary information requires legally binding non-disclosure agreements, as well as secure technology for data handling and storage. A pictorial blog about language and funny expressions in Spanish, English, and Portuguese. Take a guess at what the drawing depicts by leaving your comments, and find out if you’re right the following week! *Original drawings by Daniela Guanipa. Don’t miss a Linguote! Sign up today to receive our fun and curious news.